Enjoy music on the go with the iPod Touch (1st generation, 8GB). This Apple Ipod Touch boasts of a 3.5-inch widescreen with Multi-Touch display that enables to view photos and videos at high resolution. 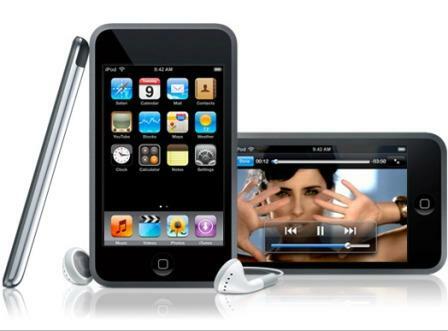 This Apple MP3 Player can store up to 1750 songs and up to 10,000 photos. 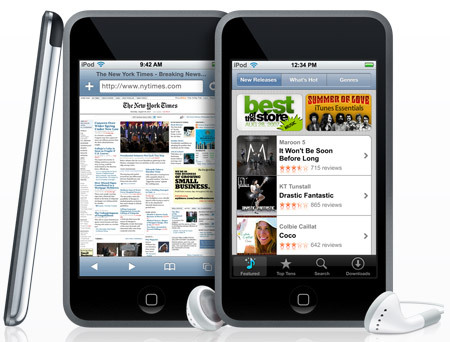 With a full-charge time of up to 4 hours, iPod Touch (1st generation, 8GB) can play up to 30 hours of music and 6 hours of videos continuously. This Apple MP3 Player is embedded with in-built Wi-Fi and Bluetooth connectivity for convenient downloading of applications. The iPod Touch (1st generation, 8GB) is compatible with both Mac system as well as Windows Operating Systems. 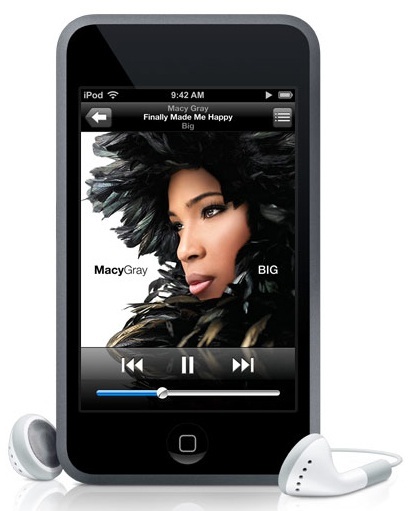 Supporting various languages, the Apple Ipod Touch is bundled with earphones, dock connector and USB cable. Grade 3 - Reasonably good condition with scratches and/or possible dents. A three month warranty is issued as standard on all refurbished iPods. For further information, please visit the Warranty Pages.